At IFA 2018 media briefing, Huawei has announced EMUI 9.0 based on Google’s latest Android Pie. The EMUI 9.0 is currently on beta, which is now open for registration to European Huawei device users. The beta build is currently compatible with seven devices including HUAWEI P20 Pro, HUAWEI P20, HUAWEI Mate 10 Pro and HUAWEI Mate 10. 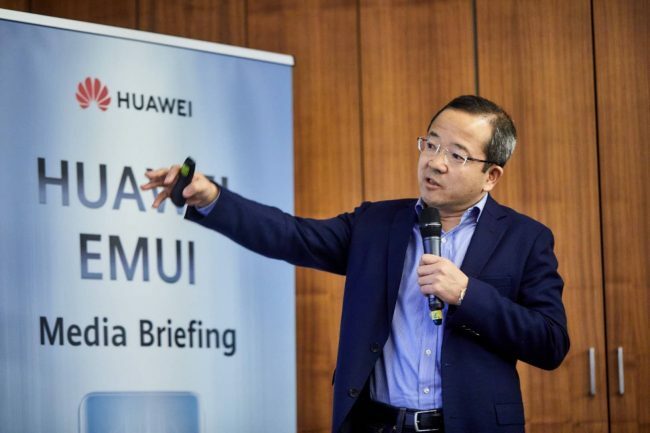 Additional features will be launched together with the upcoming HUAWEI Mate 20 Series as stated by Huawei in its press statement. EMUI 9.0 performs 12.9 percent faster than its predecessors, and supports faster app launch speeds. For instance, EMUI 9.0 launches Instagram 12 percent faster and Spotify 11 percent faster. With the recently announced Kirin 980 chipset, EMUI 9.0 will deliver an unparalleled user experience on the HUAWEI Mate 20 Series. EMUI 9.0 comes with GPU Turbo 2.0, the second generation of Huawei’s innovative graphics processing acceleration technology, which supports even more games and at a greater capacity. The latest iteration of the solution can intelligently optimize intensive workloads and give the devices a performance boost on demand while reducing power consumption. Besides gaming, the solution also improves other areas that are essential to a quality user experience, such as touch screen responsiveness, network connectivity, the Uninterrupted Gaming mode etc. Another major feature of EMUI 9.0 is HiVision, which enables the camera app to recognize major landmarks and famous paintings and provide users with information using its augmented reality capability. By pointing the smartphone camera to an object of interest, users will be provided with information ranging from history to interesting facts. EMUI 9.0 also features a new Password Vault, where users can securely store their encrypted password with face or fingerprint for various services and retrieve easily whenever they need them. 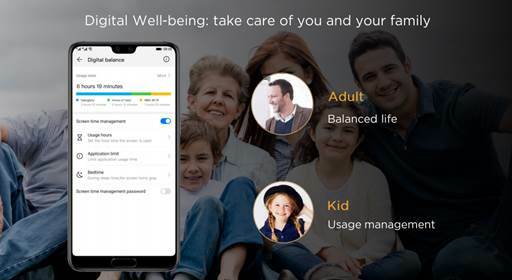 EMUI 9.0 also features a new Digital Balance dashboard, which tracks device usage metrics and allows users to set usage quota for each app; and Wind Down, which helps users to relax before heading to bed.